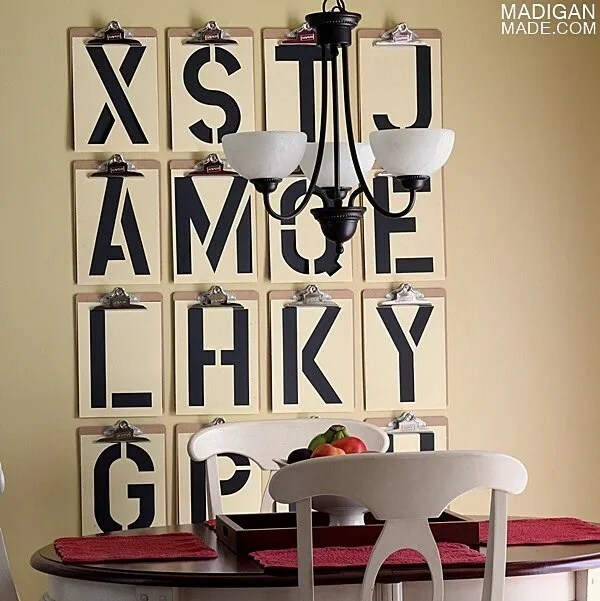 Madigan made… changing clipboard wall décor. January is an interesting time… we are both looking back at the prior year and planning for the upcoming one, right? After sharing with you my most popular craft and easy recipe posts of 2013, I realized that there is something else that (basically) started in 2013 that I wanted to take a quick look back on, too. 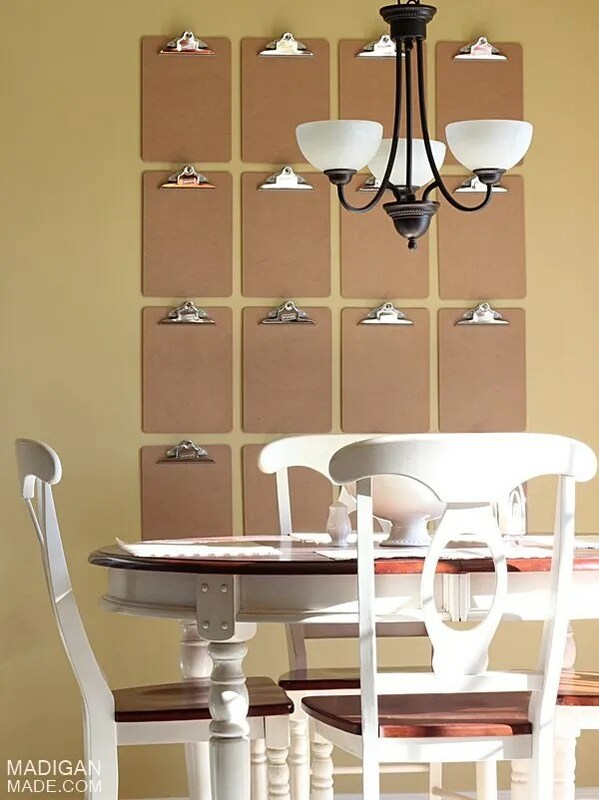 Remember how I replaced my big kitchen chalkboard wall with a large clipboard installation last fall? 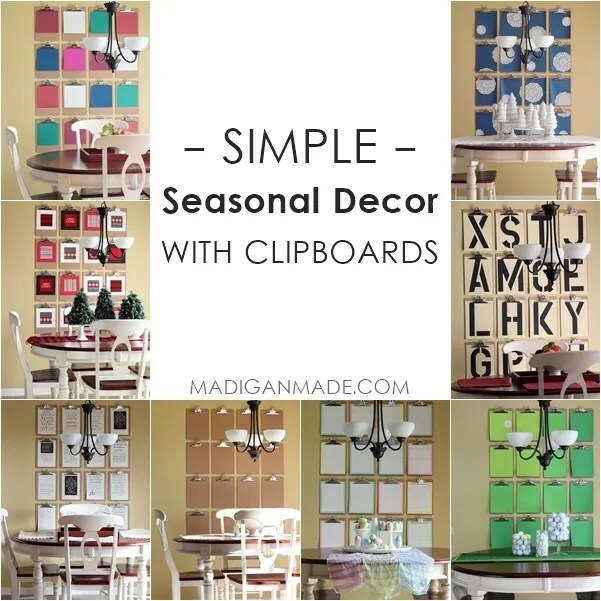 I’ve had a lot of fun changing that clipboard content seasonally over the prior 1+ years and I wanted to share those fun displays with you… in case you missed any. 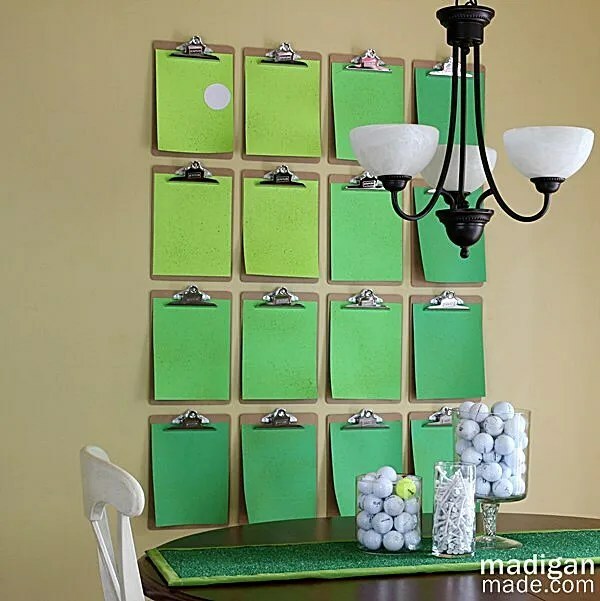 This clipboard wall was an easy way to decorate, especially for the holidays. Then, last Christmas I went with a ski chalet/lodge theme with the clipboards using greeting cards. For the winter into spring in 2013, I just clipped up some graphic calligraphy textbook pages. It was simple and one of my favorites. Then, for the summer, I celebrated my hubby’s favorite pastime, golf! The golf décor was a little kitschy and a lot of fun! Moving into the fall, I grabbed oversized stencils for a large typography display on the clipboards (and a nod to back-to-school season). 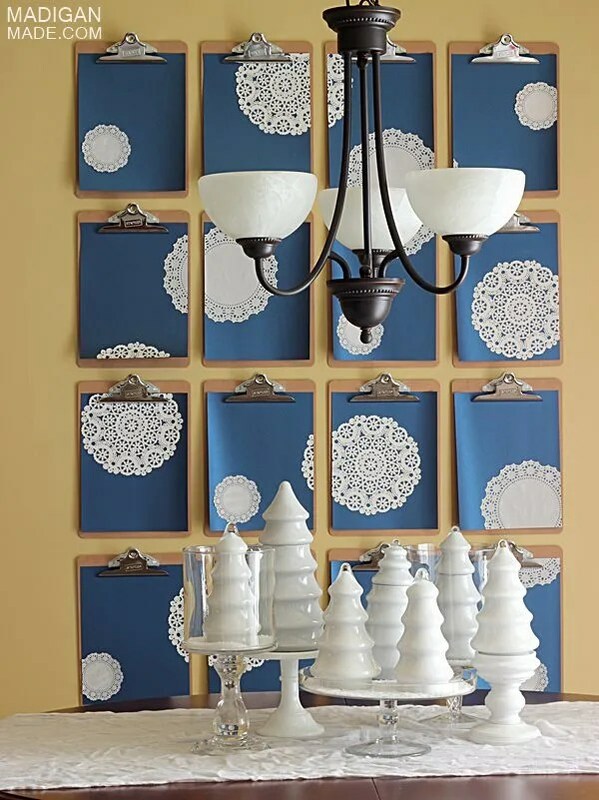 And this past Christmas, doily snowflakes fell in our kitchen. Part of me is thinking about going back to the calligraphy textbook for more images, but I’m not sure. 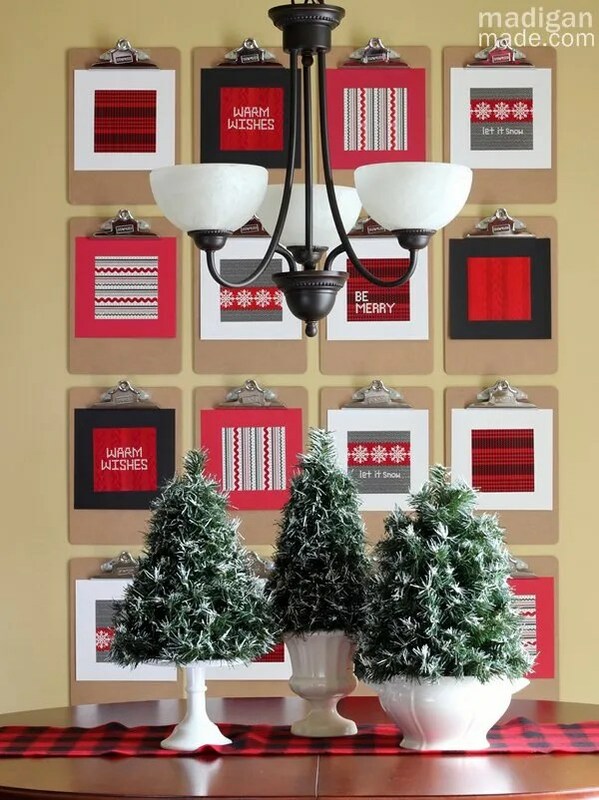 Do you have any ideas for what to hang up for this time of year? Would love a little inspiration!